Born in Windsor, Ontario, now living and working in Toronto, John Scott grew up familiar with the machinery -- the processes, labour and technologies -- of the industrial age and the rise and fall of that era. It is this culture that has shaped and defined his life-long interest in industrialism and his acute desire to come to terms with the often destructive relationships between mass-mechanization, militarism and human behaviour. Identifying strongly with working-class culture and the plight of the ‘everyman', since the 1970s he has created drawings, installations and sculptures that address head-on causes and effects related to abject suffering and oppression. Raw, even primitive in execution and rarely including colours other than black and white, his work can easily be understood to be dark and pessimistic -- and it may well be. 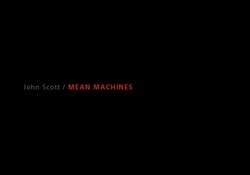 Nevertheless, as an artist Scott believes in the potential of art to be a voice against forces of tyranny and evil. 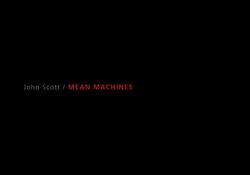 John Scott: Mean Machines brings together a selection of the artist's most well-known works to date that belong to the permanent collection of the Art Gallery of Windsor. Guest-curated by David Liss, Artistic Director and Curator, Museum of Contemporary Canadian Art, Toronto, promises to be a compelling examination of the artist's practice more than a decade after his last exhibition at AGW.